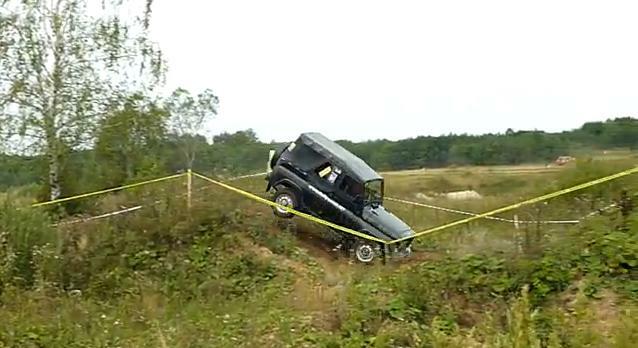 Off-road days can be full of fun and danger, as this video shows. Shot somewhere in Europe during an off-roading event, the driver of this odd-looking SUV decided it would be smart if he pushed the accelerator pedal to the floor over a fairly steep hill and then slam the brakes, but law of physics kicked in, sending the vehicle face-down. Things could have been a lot worse other than the child knocking his head.